Grew Up… with a CIA agent father who died when Vaughn was only 8. Ever since, Vaughn has worn his father’s watch – though it finally stopped ticking on the day Sydney Bristow walked into the CIA. Visiting… any foreign country he’s sent on a mission. Often that’s France, because he’s fluent in the language. Vaughn has even spent some time as a French teacher. It didn’t involve as much intrigue as a Rimbaldi puzzle, but hey, the pronunciation might be just as difficult. Profession… CIA agent and handler for Sydney Bristow. Vaughn is the agent assigned to Sydney after she approaches the CIA about becoming a double agent within SD-6, the criminal organization she’d been (unknowingly) working for. With Sydney’s appearance on the scene, Vaughn finds himself suddenly promoted from a desk job to being one of the most important players in the CIA. Interests... hockey and Sydney. When he's not playing hockey or joking around with his best friend and resident goofball Eric Weiss, Vaughn is dedicated to being Sydney's confidant through the most troubling time in her life. Challenge… preventing international crime while in the throes of a complicated romance with a fellow agent. This becomes a lot more difficult when that fellow agent, Sydney Bristow, seems to be a magnet for puzzle-like mysteries and global terrorist agencies. In addition, Vaughn must prove himself to fellow agents who doubt him because his promotion came after Sydney demanded that he be her handler – and by those who can see that his interest in her goes beyond the professional. Personality… honest, loyal, and sensitive. Vaughn is the kind of agent you want on your team; he’s reliable, smart, and level-headed under the most dangerous of circumstances. Described as “Balls of Steel” by his best friend, Vaughn is unafraid to speak his mind to anyone who steps out of line, even if that person is his boss or the intimidating Jack Bristow (Sydney’s father). But he’s not really the one you want on your team after he’s had a crisis in his love life. In those cases, Vaughn has been known to push himself too far, drink too much, and eventually take a leave of absence because he’s had an emotional breakdown. Michael Vaughn's popularity ranking on CharacTour is #2943 out of 5,000+ characters. See our top-ranked characters and read their profiles. The main theme of the series explores Sydney's obligation to conceal her true career from her friends and family, even as she assumes multiple aliases to carry out her missions. These themes are most prevalent in the first two seasons of the show. A major plotline of the series was the search for and recovery of artifacts created by Milo Rambaldi, a Renaissance-era character with similarities to both Leonardo da Vinci and Nostradamus. 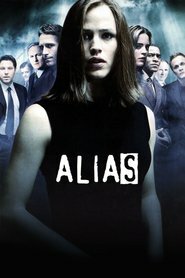 This plot and some technologies used in the series place Alias into the genre of science fiction.